If you’re looking for easier parking and less walking to Rodeo Week events, think about taking a free ride on the Sheridan Trolley to where you’re going! Questions or need help? Call the Sheridan Trolley office at (307) 672-2485 or (307) 751-3641. 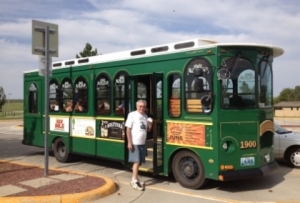 The Sheridan Trolley is a service of the Sheridan County Chamber of Commerce.